Vancouver 04/16/19- Once considered to be one of the best up and coming players on the Canucks, many forget about rookie sensation Cody Hodgson. Where is Hodgson now? The 2008 10th overall pick was highly regarded by the Vancouver Canucks, and in his two seasons with the team, he was fairly successful. 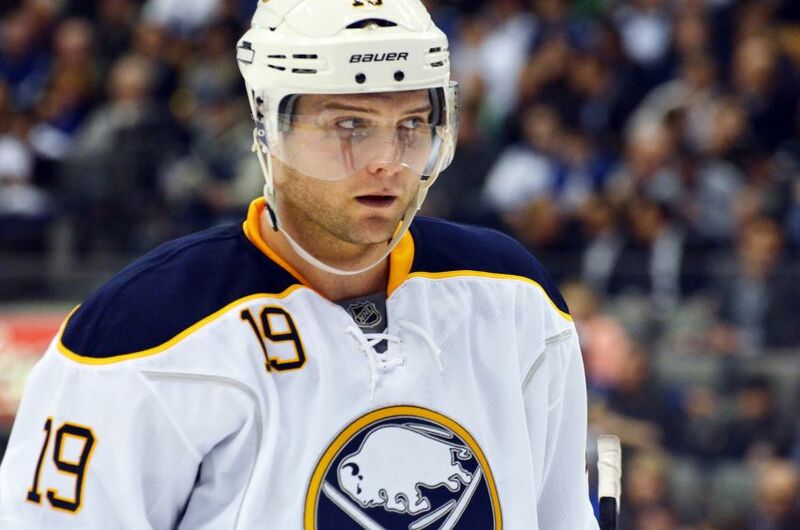 A late season call up in the 2011 cup run, and a vital piece of the team in 2012, Cody Hodgson was considered one of the games’ top prospects. Thus, it came as a shock to many when he was dealt at the 2012 trade deadline to the Buffalo Sabres in return for “gritty” and fellowrookie forward Zack Kassian as well as the experienced Marc-Andre Gragnani. The return gave the Canucks some much needed muscle, as they were coming off a season in which many accredited the cup final loss to simply being bullied by the Boston Bruins. However, this trade would not come to fruition for the Canucks, as Kassian had too many office issues, and Gragnani was not up to snuff as an NHL player. The Hodgson trade was the first signal that the Canucks were headed downhill. The team looked to get tougher, and move away from skill — just as the game began to evolve in the other direction. While the trade looked bad at the time, there has been a theory that it was planned all along. Canucks head coach at the time, Alain Vigneault, mainly started Hodgson in the offensive end, and against weaker lines — with hopes of boosting his trade stock at the deadline. The return was what the Canucks were looking for, so in that sense, the Hodgson project was a success. After joining the Sabres mid way through 2012, Hodgson played four seasons in upstate New York, even scoring 20 goals in the 2013-14 season. That season would be the highest scoring of his NHL career, as he became an everyday NHL’er in Buffalo. In a Sabres jersey, Hodgson was never given the easy matchups like he was in Vancouver, and his production stalled as a result. While he certainly had talent going forward, his ceiling was not as high as initially thought to be. His time in Buffalo was mostly a success, and it was where he spent the majority of his NHL career. After the Sabres, Hodgson signed a one-year free agent contract with the Nashville Predators where he bounced between their NHL and AHL franchises before calling it a career at the end of the 2016 season. He picked up just eight points in 39 games for the Predators and cleared through waivers on his way to the AHL. Those 39 games would be his last in the NHL. Following the 2016 season, Hodgson was forced to retire due to health complications. He was injury prone throughout his career, and many times, the injuries he had were reported as back injuries. However, it was only in 2018 did Hodgson reveal what really forced him out of the game. “A lot of people ask me, why did you retire? Why did you end early? They were asking me how my back is,” Hodgson said. It was not a bad back that forced him out of the league, nor was it any office issues. He had to leave after his physician informed him that he had a rare genetic disorder, that was making it difficult to play sports at a high level. Hodgson was forced to retire due to complications from a mutation on his ryanodine receptor 1 (RYR-1) gene. The disease affects muscles, and left Hodgson tight and in pain whenever he had prolonged exercise. The condition also led to him blacking out in some situations. With all these complications, it was near impossible to continue playing hockey. Therefore, in order to have a higher quality of life, he had to leave the game he loved. Since retiring, Hodgson has remained in Nashville and has become an ambassador for those suffering of RYR-1. In 2018 he was the subject of a documentary highlighting the disease, and his struggles with it while playing in the NHL. The documentary “Hodgson” has been produced by the RYR-1 foundation, as well as Hodgson himself and shines light on the not very well known disorder. It premiered at the Toronto International Film Festival earlier this year, and brought more awareness to the disorder. Hodgson spoke about his film during a Canucks telecast in Nashville prior to its debut — it was his first involvement with the Canucks since retiring. He now lives in Nashville and helps out with the RYR-1 foundation, as well as the Predators hockey school. It was a short lived career for Hodgson, the once highly-touted prospect. However, his off-ice actions since leaving the game have been nothing short of exceptional.